Symptoms of headaches are brutal! With the pressure changes of this spring it’s probably one of the top questions that have been coming in! 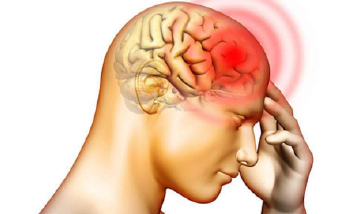 Can Homeopathy help with symptoms of headaches? Why yes it can! When suffering with headache symptoms it can be difficult to deal with yourself. Two remedies to consider are Belladonna and Bryonia – but these are only for occasional headaches. If your symptoms are recurring or particularly bad, then it is best to have a consultation so that an exact fit can be found. Belladonna – a throbbing, pulsing pain. The pain is made worse by bright lights, movement, stooping down and even moving the eyes. Pupils may be dilated and face may be flushed red. Bryonia – a deep aching pain in the head which feels heavy and hot. This patient will often be seen holding their head tight and lying still. They cannot bear to be touched as they feel so sore. Better left by themselves, they don’t want company or having to talk. Please do not hesitate to call or email Total Holistic Wellness to get help to control these symptoms! Book now for a free 15min chat to find out if Homeopathy can help you! For information about homeopathy, reflexology, attitude coaching or you have questions about Total Holistic Wellness.